Half-Past Kissin' Time: Feeling Chilly? It's that time of year--light changing, leaves falling, a chill in the air. 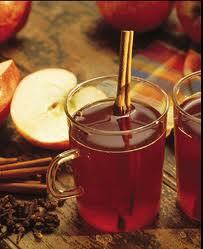 It's the perfect time to make my mom's Spiced Apple Cider, so that's what I did tonight. Visit Mrs.4444 Cooks today to find a simple recipe that packs a ton of flavor and warmth to a cool, fall day.